For many, video games and books do not mix. But in the case of Chinese gaming company NetDragon Websoft, which is now dedicating more resources to its online education business, the opposite might be true. 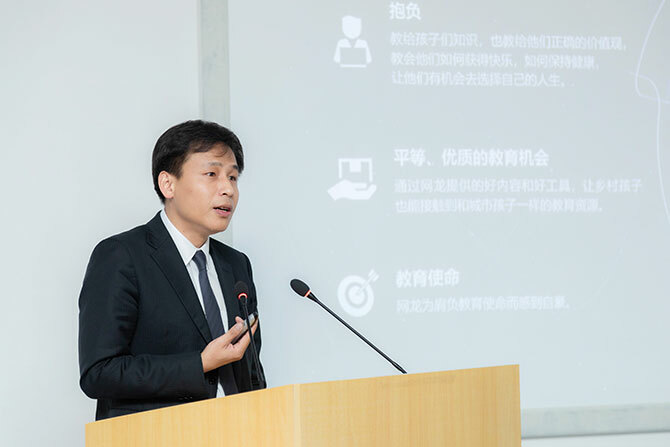 “We want to provide quality shared educational resources … If you are not accepted into Tsinghua or Peking University [two of mainland China’s best educational institutions], does that mean you are not qualified to acquire the knowledge taught at these universities?” says Xiong Li, its chief executive, as he explains the rationale behind NetDragon’s push into online education. The online education sector is projected to hit 433 billion yuan (US$64.2 billion) by 2020, according to mainland China-based data mining and analysis company iiMedia Research. The sector is underpinned by the country’s education system, the largest in the world, and a culture that prioritises education. Founded in 1999 by US-educated Liu Dejian, NetDragon is based in Fuzhou, in China’s south-eastern Fujian province. It also has offices in Hong Kong and California, and is best known for online games Eudemons and Heroes Evolved. In an industry dominated by Tencent Holdings and NetEase, it ranked 25th in terms of turnover last year. NetDragon turned to the education market early, with the formation of subsidiary Huayu Education in 2010. Its flagship product in this sector is 101 Education PPT, a digital teaching tool that comes loaded with course resources, images and animations. It has been installed 2.3 million times in 31 provinces, according to the company’s 2018 interim report. The company is currently selling 101 Education PPT to schools on a business-to-business basis, and plans to sell the tool to students and parents in the future. NetDragon has been on a shopping spree as it builds capacity in the online education sector. In 2015, it bought the British-founded education hardware firm Promethean for US$130 million; last year, it American education social networking company Edmodo for US$137.5 million. 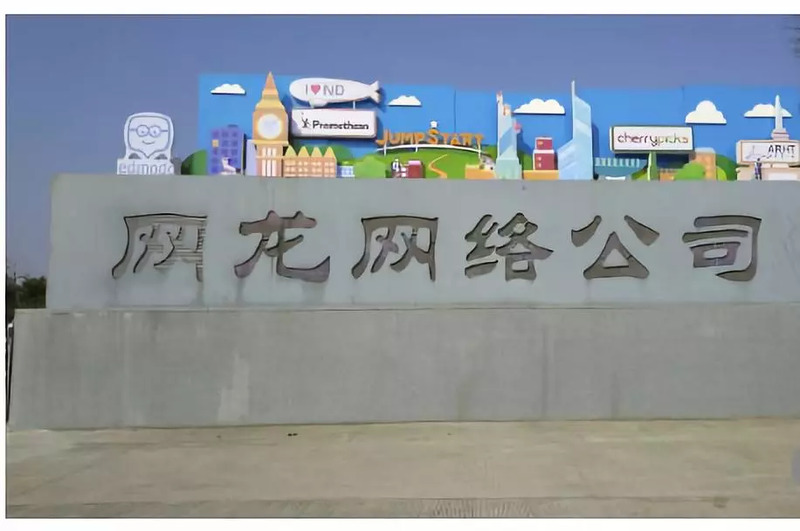 It is also spearheading the Binhai Education Village, a 400-hectare seaside compound in Fujian province. The initiative is also part of the Belt and Road project. The education village is home to NetDragon’s new Changle campus, which features a 705 million yuan office building that resembles the USS Enterprise spaceship – founder Liu Dejian is a Star Trek fan. The long-term goal is for the education village to become a hub of institutions and education technology companies. So far, NetDragon has poured 3 billion yuan into its development. The company is funding its education sector push through sales of past ventures. For instance, in 2013 it sold online portal 91 Wireless to Chinese search engine giant Baidu for US$1.9 billion, the largest deal in China’s internet sector at the time. 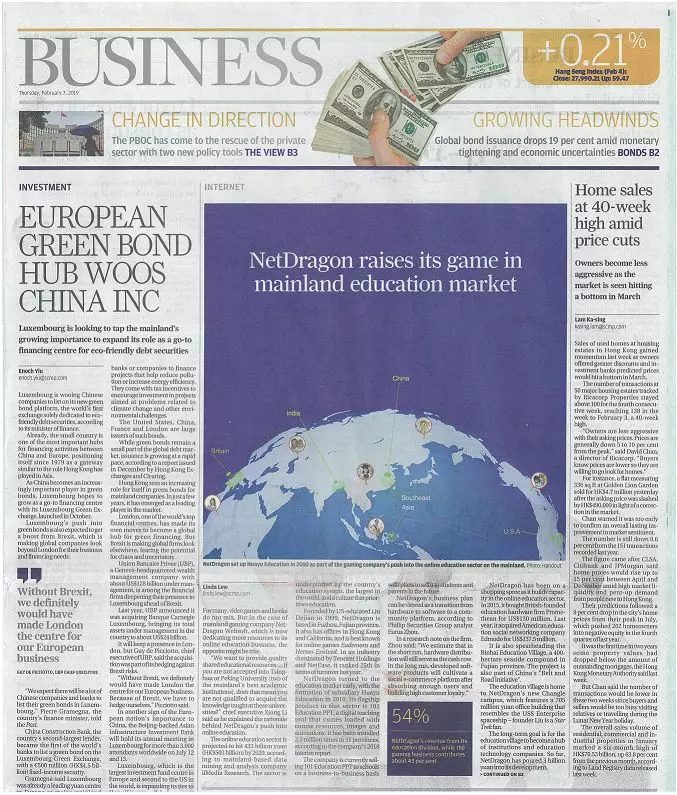 The education division brings in 54 per cent of NetDragon’s revenue and the gaming division contributes with about 43 per cent. Yet losses suffered by the education business are high enough to cancel out gains made in the gaming sector where margins are more than 90 per cent. As a result, NetDragon has been making losses for the past three years, booking a loss of 20.8 million yuan in 2017. The online education market also has its challenges. The sector is highly fragmented, with at least half a dozen different players in each of the market segments. “Another challenge with online education for kids is, if you don’t have an offline brand then that could be harder. You’re selling to the kids, but they’re not the ones paying. It’s the parents who are paying,” says Mariana Kou, head of China education and Hong Kong consumer at financial company CSLA. This means education companies not only need to engage with children, but they also need to spend on marketing to target their parents. But while the market may be tough, NetDragon is well-placed for an uphill battle. It has narrowed its losses significantly, from 202.7 million yuan in 2016 to 20.8 million yuan in 2017. Its cash on hand stood at 1.1 billion yuan as of June 30, 2018.